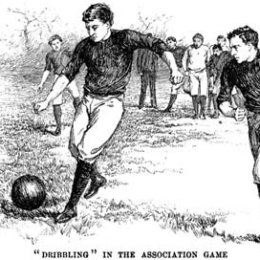 Our series on the origins of soccer in Philadelphia concludes. 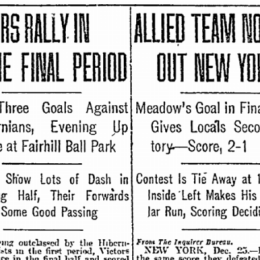 The long tradition of holiday games continued for Philadelphia soccer teams in 1914. 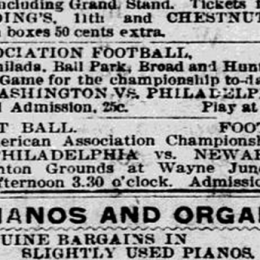 After the quick demise of the Philadelphia Phillies pro soccer team in 1894, Philadelphia’s other pro team would return to the amateur ranks before going on to win Philadelphia’s first national soccer championship in 1897. The decline of Philadelphia’s first organized league is followed by the appearance of the first professional soccer teams in the city. 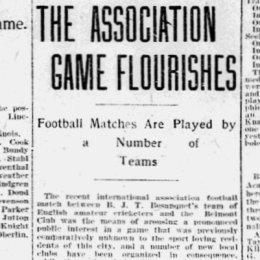 Philadelphia’s first organized soccer league continued to grow in its second and third seasons with more teams, rising attendance, and intercity games. 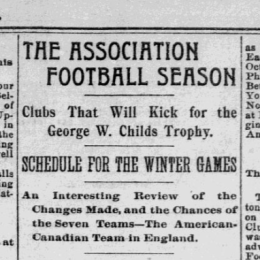 Our series continues with the start of Philadelphia’s first organized soccer league, the Pennsylvania Football Union, in 1889. 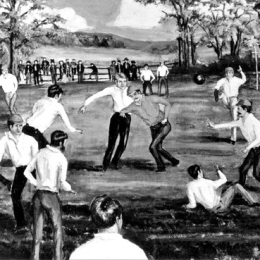 Our series continues with a look at college football in Philadelphia after the 1863 Laws of the Game, and how rival rules of the game resulted in what would become American gridiron football supplanting soccer-style football in intercollegiate sport. 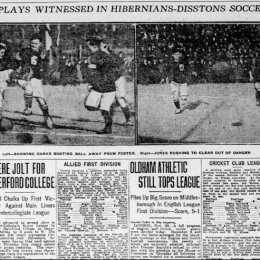 Philadelphia’s tradition of Thanksgiving soccer continued with two big American Cup games and a game between two longstanding rivals. 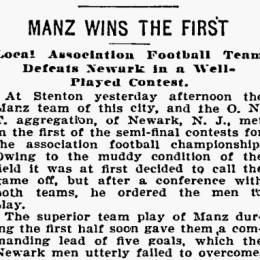 The origins of soccer in Philadelphia, part 4: The first account of soccer-style football after codification? 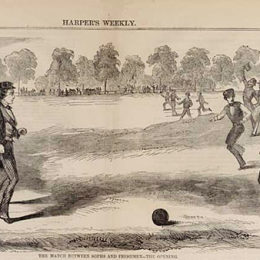 Our series continues with a look at football in Philadelphia after the 1863 code, including what may be the first newspaper accounts of a soccer-style game in the city. 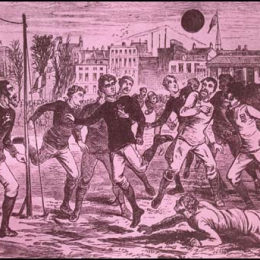 Our series on the origins of soccer in Philadelphia continues with a look at 19th century football before the 1863 Laws of the Game.